The Make-A-Wish Foundation is one of three non-profits receiving a total of $8,800 from the McAllen International CarFest 2017. 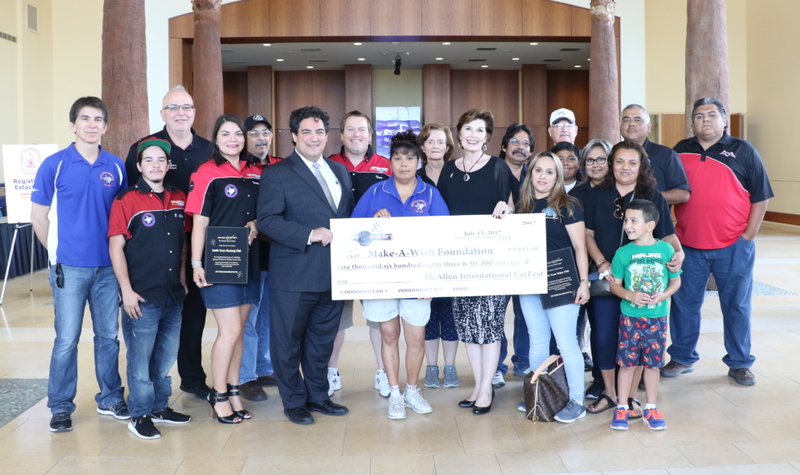 Make-A-Wish Foundation, Teach the Children and the Antique Automobile Club of America are the collective recipients of $8,800 from the McAllen International CarFest 2017. A portion of the proceeds from the 2017 festival are donated to non-profits of CarFest committee members’ choice. This year’s festival included more than 300 vehicles throughout both the McAllen Convention Center and parking lots. The next McAllen International CarFest takes place Jan 26-28, 2018.